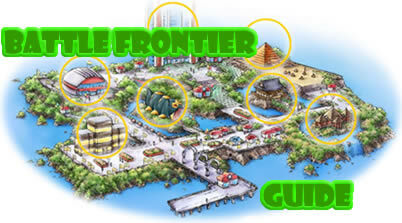 This Guide is to help players who are having difficulty with anything concerning the Battle Frontier, whether this is actually getting there to fighting the actual Frontier Leaders. This guide is mainly written from personal experience or information I have picked up. I hope this guide is a help to anyone who is having difficulties with the game. This may be not be reproduced under any circumstances except for personal, private use. It may not be placed on any web site or otherwise distributed publicly without advance written permission. Use of this guide on any other web site or as a part of any public display is strictly prohibited, and a violation of copyright.